A great exercise to do to learn about all of your options during labor, birth, and recovery is to create a birth plan. 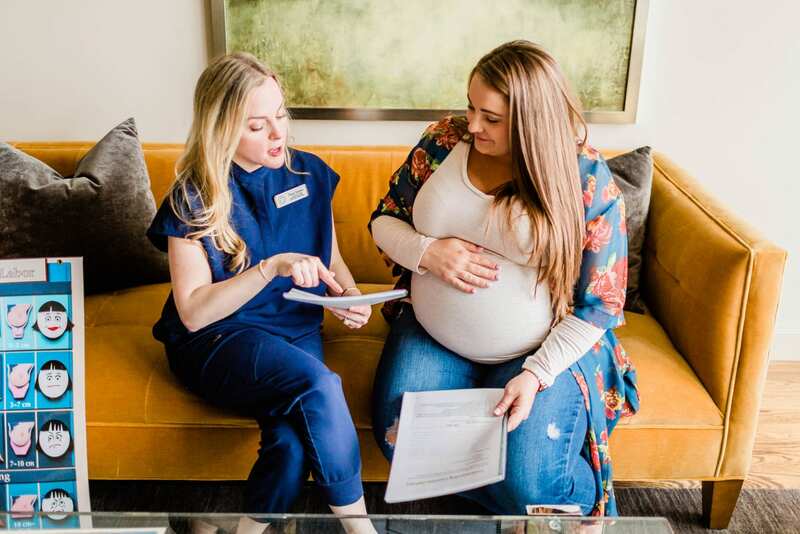 A birth plan is a document that let’s your maternity healthcare provider know what your preferences are during labor, birth, immediately after birth, and recovery. In your birth plan, you can prepare for things like: how to manage labor pain, if you are okay with residents in the room, how you would like to push, if you would like to do immediate skin-to-skin, if you are doing delayed cord clamping or donating/banking your baby’s cord blood, and so much more. Having a printed document gives you a place to make your wishes clear so that everyone present – your doctor/midwife, nurse(s), partner, doula, etc. – can respect your wishes and do the best to make it the experience that you want it to be. Once you’ve made all of these decisions about your labor, birth, and recovery, a birth plan can also help you remember all of these details when it’s the big day. Hopefully you will talk about these choices with you care provider beforehand at your prenatal visits to make sure that your doctor/midwife supports you with all of your decisions. The thing is, they have so many patients that they care for so they can often times forget about the small details and choices that you made and discussed with one another. This is why you shouldn’t rely on them remembering your conversations because things can be forgotten. As for you, you will definitely be a bit busy since you will be the one going through labor and giving birth. Being the laboring mama can make it difficult to speak up for yourself and remind your team about your preferences. Having the ability to hand over a document with your wishes makes it so much easier. Your partner could be the one to remember all of your desires during labor and birth. He/she is going to do his/her best to support you during the big day, but more than likely, because he/she has never supported someone through labor and delivery, he/she isn’t exactly sure what’s going on and when or how to best advocate your choices. Having a birth plan can be a helpful reminder of the things that you both discussed. Having a professional in the room that is designated to remember all of your choices, like a doula, is a great option to have. The thing is, even doulas like to have notes of what your preferences are and some even require a birth plan so that they can be your best advocate and support during your baby’s birth. These are all reasons why a birth plan can really come in handy and why you should create the best birth plan for you. I will be honest, I don’t always like to call this document a “birth plan.” I prefer to call it “birthing goals” because “birth plan” sounds a bit rigid. The reason why I still call it a “birth plan” is it’s the term that most people are familiar with and it’s what the majority of people call this document. I have seen some women be a bit too adamant with their “birth plans” so I like for all women to understand that it is not always possible to completely control every aspect and outcome of your labor and birth. You absolutely should have a say on how you want to give birth, but this is why women are encouraged to be flexible and openminded when thinking about their birth experience. Hopefully everything goes well and that you get the exact birth that you have been wanting, but understanding that things can happen and that you have to be flexible with your “plan” is important. I have decided to share with all of you my birth plan template that I use with all of my clients. Feel free to print it out and use as a guide. I will warn you that it is quite lengthy – four pages to be exact – so please do not use this as your actual birth plan. Use it as a guide to create your own. 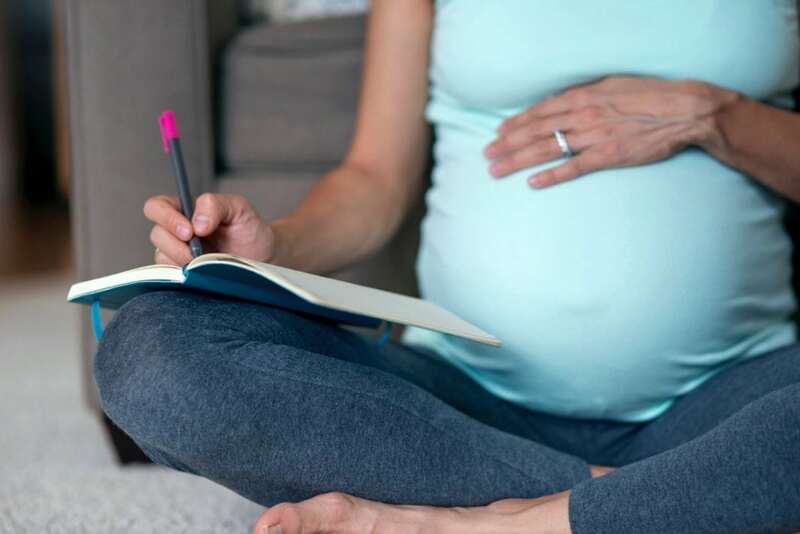 You want to keep your birth plan short and sweet since no one wants to review a novel before they start administering care to a laboring mama. The general rule for birth plans is to make yours one page, front and back. This way you will make sure that you are only listing the things that are the most important to you. I also do want to mention that not all the options on my template will be available to everyone. It depends on where you have chosen to have your baby and the options that the location and care provider has available them. Also, if you are having complications during your pregnancy or if your pregnancy is high-risk, some of these options also might not be available to you. But again, this template should at least give you a place to start. Then you can print my birth plan worksheet and use it to note your preferences. Let me know your thoughts on my birth plan template! Did you write a birth plan for your birth? Did it help you feel more prepared? I want to to know!